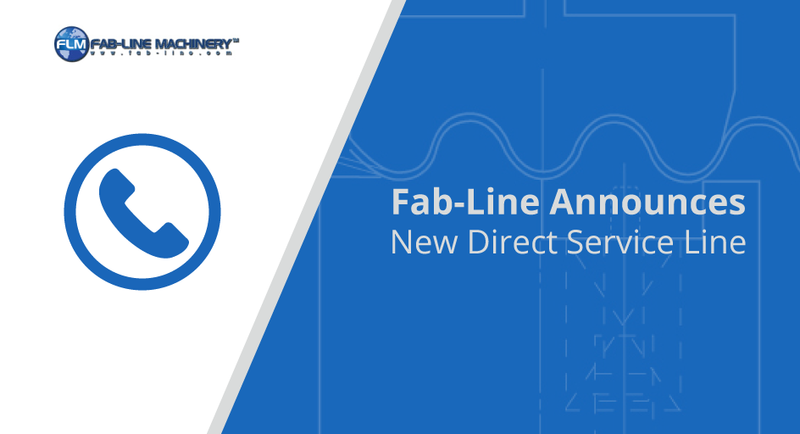 Fab-Line Machinery’s industry-leading customer service is about to get better as we are proud to announce a direct service line that give our customers direct access to the support they need. We have taken a great step forward in improving our already stellar customer experience by allowing those who partner with a chance to be one call away from our expert staff. As a client of Fab-Line Machinery, access to our direct service line means that you are never more than a phone call away from the solutions you need. Our goal is provide a customer service experience that is second to none – we want you to love working with us. At Fab-Line Machinery we are always looking for ways to provide our valued customers with a one-of-a-kind customer experience. Having direct access to our trained and experienced staff is exactly what our customers need to get the solutions they need as quickly as possible. If you have any questions about our line of products, don’t hesitate to give us a call today!